daily fiona: Dogs at church! Dogs at church!, a photo by PrincessKaryn on Flickr. 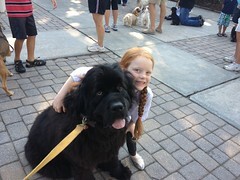 Fiona and I took Rufus to the Blessing of the Animals today! ayinowerI just want to know, did he drink all the holy water?